AICO Dining Set Villagio.The romantic simplicity of Old Italy sets the mood of this collection. The classic charm, the unforgettable picturesque countryside, and the unique architecture of Italy were the inspirations for Villagio®. 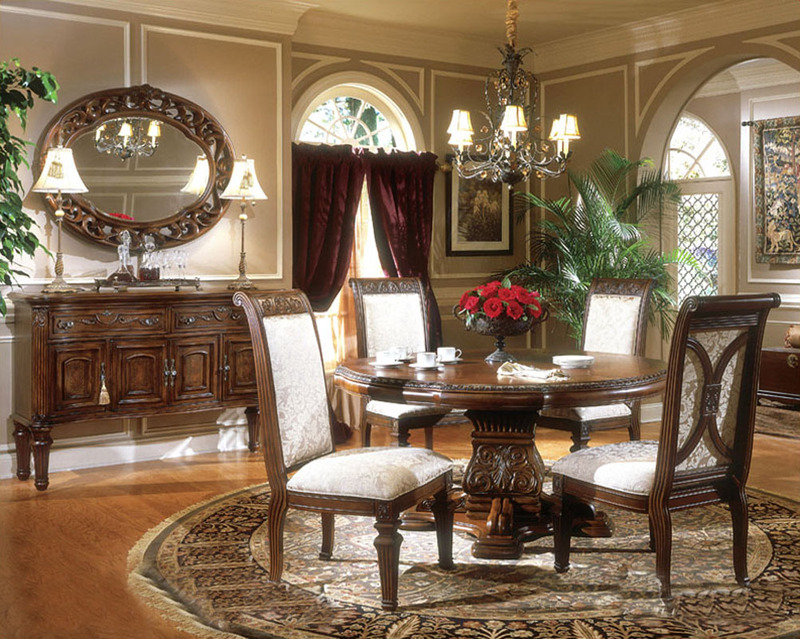 This classic design is based on a lifestyle of traditional values, and as such, the collection is timeless. Sophistication and comfort are the cornerstones of this inspiring collection, as the soft carvings are accentuated by artistic craftsmanship and a rich "Hazelnut" finish. The exclusive feature of diamond cut crystal hardware accentuates the soft refined elegance of the Villagio® Collection. 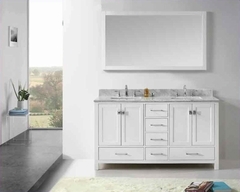 Carefully constructed of Birch solids, and accented with Cherry veneers, Villagio® has a truly ageless look.